Strawberries are in season!!! This naturally sweet, juicy and high-fiber berry is the perfect way to answer the calls of your sweet tooth without betraying the rest of your body. Nature’s candy indeed! 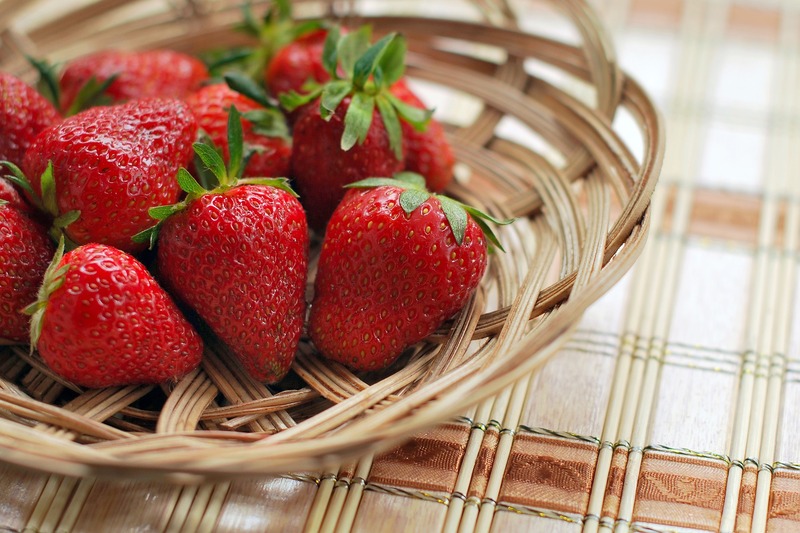 Check out 8 other delicious recipes for summer strawberries here! These beautiful strawberry crisps are a dieter’s dessert dream. They contain no added sugar or other sweeteners. Baked in individual convenient ramekins, portion control is taken care of. Quick and easy to put together with minimal ingredients, the only real work involved is man-handling family and neighbours as they try to plunge their heads directly into your hot oven, temporarily zombified by the heavenly pastry smells wafting throughout the house. Place 5 ramekins on a baking sheet, and divide the sliced strawberries amongst them, packing each cup up to overflow capacity (the fruit will shrink as the juices seep out during baking). Place the baking sheet in the oven and bake the strawberries for 30 minutes. Meanwhile, pulse the oat flour, butter and salt in a food processor, until it forms a crumbly dough. Add in the slivered almonds and briefly pulse a couple more times, to incorporate the nuts but to keep the dough crumbly and chunky. 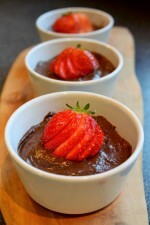 Remove the baking sheet from the oven and spoon the crumbled dough on top of each strawberry-filled ramekin. Then place the baking sheet back into the oven for another 20 to 30 minutes, until the topping turns golden-brown.